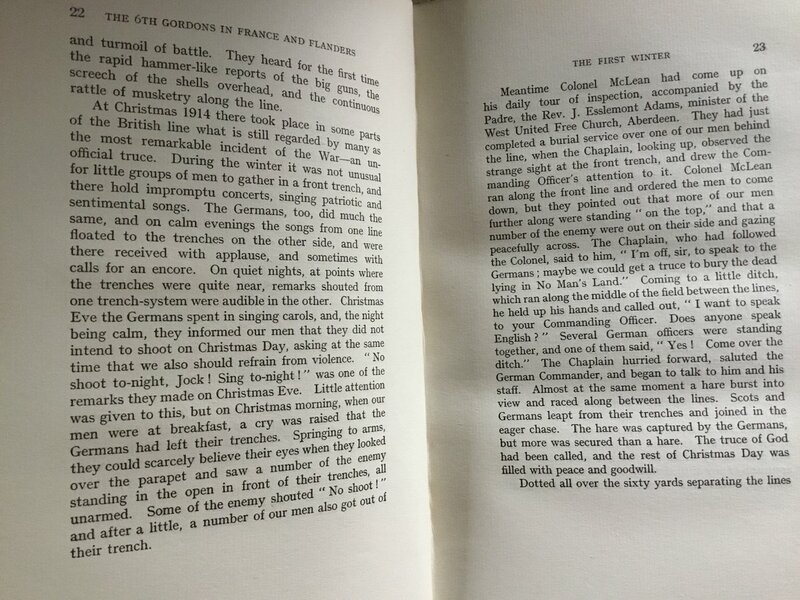 I recently came across a copy of a letter from Lieutenant Colonel Colin McLean of the 6th Gordon Highlanders to his wife on Christmas Day 1914 about 'a unique experience'. I managed to get a copy of the war diary from Ancestry but the relevant page was missing, yet the previous page had an unfinished sentence. I wonder if any member might shed any light on this. Could it have been deliberately removed? I have had quite a unique experience today. 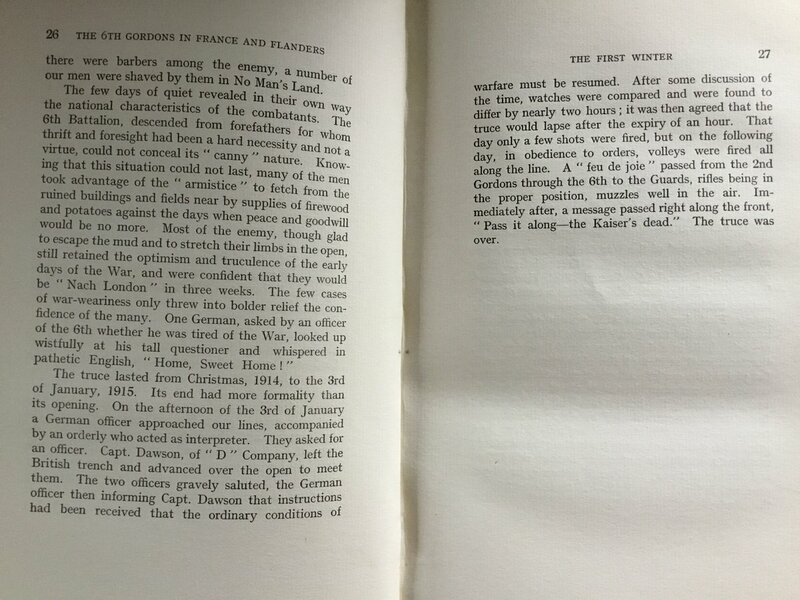 As it was Xmas I suggested to the minister he should come round the trenches with me. He was quite on for it, a little nervous when we got near the firing line, but things were very quiet only an odd shot or two going on. My usual way in has got flooded & I have to go a tremendous circle now. In addition to that my Companies had been moved during the night and we walked for nearly an hour before we reached them. In their new position they are only about 50 yards from the Germans, much more dangerous and we have had 2 killed and 4 wounded in the last 24 hours. Sgt Keith got a bullet through the top of his head, serious but I believe not dangerous, and a Strathdon boy Reid was killed. I heard when I arrived they had had a good deal of talk and chaff with the Germans in the morning and when I got rather more than half way down I heard a shout that the Germans were out of the trenches. I looked back over the parapet and saw a crow of unarmed Germans coming across and some of our men going out to meet them. I was suspicious at first and made every one stand to arms and went back to see what had happened. This was ground where there had been 2 attacks one of the Germans’ before we arrived and our unsuccessful one of a week ago and they wanted to get their dead buried as it was Xmas day. There was an awful muddle of Germans and ourselves for a bit added to by a hare getting up and both parties chasing it. In the end they killed it. We had plenty of men ready for anything in the trench all the time and presumably they had too. We got our men back after a bit and after phoning the General and getting the artillery warned off, came to an agreement that we would have no firing until 4 p.m. and that we should keep to our own half of the neutral ground and carry each others dead across to be buried. While all this was going on we could hear firing between the troops on the right and left of our brigade. Then our minister’s chance came. I took him up to the German Major who commanded the Batt opposite us and in the end they produced a private soldier who had been studying for a minister and our chaplain held a short service in English, the German private repeating the words after him in German. By this time everybody had been sent back on both sides except the burying parties. They were very good gave us the details of what had happened to some of the officers killed in the attack and brought over a cross to have the name of one who had been shot, just as he was first into the German trench. We had some difficulty in conversing as they knew very little English and we no German. They were a very decent looking lot except one subaltern, especially the old Major. 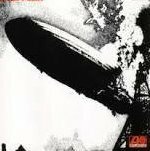 One of them complained to me that we had killed a man who exposed himself an hour before although there had been no firing for ages, and I apologised humbly and said there was always some fool who did not grasp what was up. 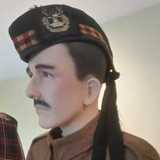 However I heard that they had shot a Sgt in the Scots Guards about the same time so we were really quits. They told our men they were fed up with the war and wished it was over and I don’t wonder considering the keen frost we are having at nights now. They were cleaner than us and I think their trenches must be better. They have a road close behind and a chance of carting stuff up quite near, whereas we have to carry everything for over ½ a mile and cannot get up the same comforts. It all seems very funny but I suppose in a day or two we shall be at it as hard as ever. If they are really fed up one or two should come over to our lines and surrender, but I doubt it. They looked quite as well fed as our men. They were all ages principally in the prime of life, but some very young and some well over 40. While this was going on our men were out at the back of our trenches collecting wood for fires and anything else they could get lying about so they will be more comfortable for a day or two. Our minister is awfully pleased with himself and I think he should be. I doubt if any one has ever conducted a service of the kind before. The real benefit of it all is that if a man is lying wounded between the lines, there will be a chance of getting him in now. There was none before. It rather makes one feel what rot it is having this war, but I have felt that all the time it does not make much difference to me. Son of the late Neil McLean, of Breda, Aberdeenshire; husband of Isabel McNeill Clark (formerly McLean), of Auchentoul, Alford, Aberdeenshire. An excellent and interesting find. Thank you for posting. It must have been tedious typing all of this. Thank you. The chaplain was the Rev Dr J. Esslemont Adams DSO MC, an Assistant Principal Chaplain of Aberdeen. The transcript of of Mr. Ericsson's talk was quite interesting. Thanks again for posting. I had a look at the 6/Gordons diary and it has all of December on one page and not very informative. Didn't see a previous page had an unfinished sentence or where the missing relevant page might be. Are these somewhere else in the diary? The diaries were checked and censored at the time. More likely a missing page would be down to someone putting a page in the wrong box at TNA. 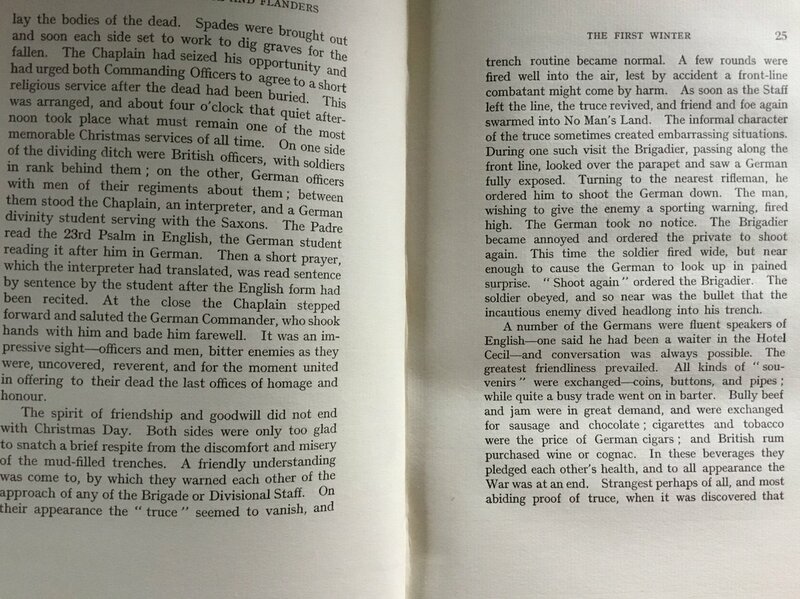 20th Infantry Brigade diary WO95/1650 has a good account of the event and does mention 'Captain Chaplain of the Forces Adam' sic conducting the burial service which was interupted by a German student of divinity repeating it after him. I don't have time to transcribe at the moment but there's an article in the British Newspaper Archive Western Morning News - Tuesday 23 April 1935 on the death of Esslemont Adams. 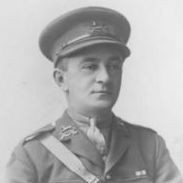 It credits him with being the man who actually "brought about the unofficial armistice in 1914"
"He crossed No Man's Land and arranged a truce with the German Commander." Thank you for posting, this is a fascinating letter. I have been collecting letters from 6th Bn, Gordon Highlanders written about their experiences at Christmas 1914 for a project and have never seen this before. Can I ask where you found at it as I would like to seek permission to use it?